StarCraft 2 is one of the most popular PC-based real time strategy games. Developed by Blizzard Entertainment in 1998, the game recently celebrated its 15th anniversary as a franchise. The longevity of the game has been attributed, in part, to its active online community, which revolves around competing, discovering new strategies, producing content, and building the gaming community through events and tournaments. DayTV is a site dedicated to elevating the learning and expertise of the StarCraft community. StarCraft 2 players inhabit a peer-supported, openly-networked community centered around competition, where community members constantly produce & exchange knowledge to help one another learn & improve. The steep learning curve of StarCraft 2 rewards players who connect with one another–either online or via local communities–in order to work together to ‘level up’ their own skills. Expert StarCraft 2 players, such as Sean “Day” Plott, have built career pathways out of sharing their personal interests and learning processes with the community. StarCraft 2 players, whether experts or novices, find they can apply the learning practices and cognitive skills they’ve developed through games to other aspects of their lives. The Leveling Up research team of the Connected Learning Research Network at the University of California, Irvine has been studying StarCraft and its surrounding community since 2011. StarCraft 2 is a computer game that involves challenging strategy and competition. The lore and backstory of the game flesh out an engaging and rich content world for players to explore during narrative-driven single player games. The army units that players control, the maps that players compete on, and the art surrounding the world all contribute to the epic StarCraft 2 storyline. Players control one of three factions – Terrans (Human), Zerg (swarm insectoid creatures), or Protoss (futuristic alien race) – building bases, managing their economy, and raising an army in order to defeat their opponents. StarCraft community members regularly engage in an activity that is mentally challenging and demanding, and work with others in a collaborative effort to problem-solve and improve. The population of players is international and encompasses a wide range of ages, from high school students to their parents and other adults. The game and community present a unique environment in which competition and professional play become a platform for self-directed learning and improvement, as well as inspiring various initiatives for community growth. Members of the StarCraft community engage in not only playing and competing within the game, but also develop resources about game knowledge to share among other community members. Players improve their own skills through watching video tutorials and analysis posted by more expert players, by joining competitive and collaborative clans, and by volunteering to run volunteer organizations & events that promote professional gaming competition and community growth. Community hubs, such as TeamLiquid.net, have been built through the efforts of volunteer fans who contribute their time to write articles, produce videos, and organize online, as well as offline events, such as tournaments. These practices demonstrate how a game like StarCraft can enable players to leverage their interests to develop strategic and systemic thinking, as well as contribute to a community and shared culture. The Leveling Up research study investigated many of these sites and resources in an effort to understand the peer learning that the community supports. One exemplary resource is DayTV, which features a daily web show revolving around high-level analysis of StarCraft games. The site has become extremely popular among the community for its mix of high-level strategy analysis, humor, and approachability for players of all levels. At the center of the site is Sean ‘Day’ Plott, a professional StarCraft “shoutcaster” who comments on games in professional competitions, much like a sportscaster. He describes his role in the community as that of an educator, who utilizes his previous experience as a professional and longtime gamer to help new players develop analytical skills useful for StarCraft as well as other aspects of the player’s daily life. He encourages players to improve their play and quality of community participation by orienting around the values of sportsmanship and critical thinking, and guided by the site’s mantra of “being a better gamer”. DayTV caters to the interests and competitive ambitions of a player community of millions with a history of over 15 years. The content world and game mechanics of StarCraft have continued to be refined through a number of different releases since the original release of the game in 1996. In addition, the game supports a wide range of opportunities for competitive and casual play that challenge players at all levels. Players are able to compete online in a ranked ladder system, where they are matched based on their skill level and move up through bronze, silver, gold, platinum and masters-level leagues. The highest-ranked players have the opportunity to engage in professional competitive play as part of an international tournament circuit, akin to traditional sports leagues. Paid, professional gaming leagues in StarCraft and other popular games have been dubbed as a new movement in “eSports,” garnering growing followings of players and fans alike. Like other sports and complex strategy games, a StarCraft game is challenging to interpret, even for experienced players. 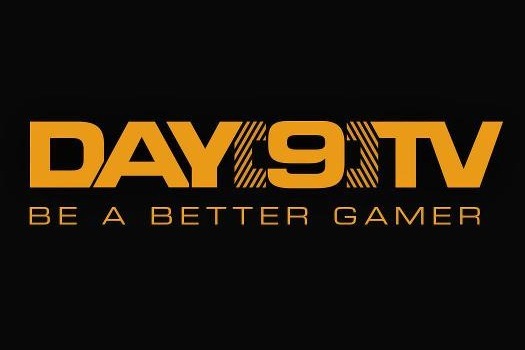 The DayDaily features Plott providing commentary on a number of games submitted by both the average player and professional gamers, while mixing in opportunities for players to mess around and experiment with the game. Shoutcasters and web shows like the Day Daily garner a large audience by focusing on a popular game like StarCraft and providing insight into game play once only accessible to top players. Unlike a straightforward walkthrough or review that takes players through the basics, Plott provides insight into high level-strategy and eSports culture by drawing on his experiences as a professional competitive player. The show has become popular not only for Day’s dynamic and approachable personality, but also for his insightful analysis, shared in language that is accessible and meaningful to both novices and experts alike. Play keeps us sane in our daily lives. Play keeps us curious, imaginative and directed. It teaches us to learn from our mistakes, to constantly improve, and to stride forward – battling through failures on our road to success. Play develops relationships and communities. We have fond memories of growing up playing games with our friends and siblings. The gaming experience bonds us together now, as it bonded us then. We discover friends, partners, and spouses while gaming. We game with our children. We transcend international borders when we play. Although StarCraft does support solo play, the dominant mode is highly social, with players competing and practicing with one another and viewing the play of others. The game is much too challenging and complex to progress beyond the entry level without the help and motivation of peers. In addition to finding others to compete with through the online matching system, players often practice with their peers or seek out volunteer coaches and teachers in order to improve. During practice sessions, players often experiment with novel strategies against one another, or practice refining their fundamentals. Players who struggle with a particular strategy or consistently run into a mental wall are supported by their peers who provide feedback and suggestions on how to improve their own strategies. Competitive and casual clans and groups form around individuals who regularly practice with one another. Players connect with other StarCraft fans at school, work, online communities, or at home. High-level players most often have close friends or siblings who they play and share their gaming interests with. Plott talked about how he grew up sharing a gaming interest with his brother Nick, who is now a StarCraft commentator in Korea. “The fact that he was another person that was competitive meant that I always had someone to play against. StarCraft would have been real boring if I just figured out a way to beat the computer and I just kept beating the computer. Nick was fresh and interesting and had kooky ideas.” Plott’s experience echoes that of other players who grew up with siblings, parents, and friends who supported their interest and competitive aspirations in the game, and this peer learning ethos is evident in the broader StarCraft community and the DayTV site. While Blizzard publishes the game and a certain amount of online content, tournaments & communities are organized by players, and player-generated content on StarCraft dwarfs that produced by the industry. DayTV reflects this peer-to-peer ethos by hosting forums where players exchange knowledge and tips, allowing for community chat during the livestreamed show, and inviting player suggestions for show content and contributions of game replays. While Plott is the personality and expert behind the show and the site, his approach and demeanor reflect a welcoming, unpretentious community ethos that continuously seeks input and feedback from the crowd of StarCraft enthusiasts and experts that flock to the site. StarCraft is often compared to chess in terms of the cognitively demanding skills required to play the game. Highly skilled players exhibit a sophisticated strategic and systemic thinking and an impressive amount of multitasking capabilities in order to control multiple groups of army units in the game. Top-tier players can reach up to 300 actions per minute, which is a metric for how fast a player can issue commands through their mouse and keyboard. Cognitive scientists have been studying the game in order to gain insight into how players develop these complex skills. Furthermore, researchers have looked to StarCraft as a possible new model for understanding how players learn through games. In addition, the community will often engage in collaborative problem solving. For example, players came together to solve a problem in the geometry of attack for a particular unit by mobilizing mathemetical skills. Increasingly, high schools and colleges are recognizing the value of StarCraft and sponsoring clubs and teams. Like other competitive sports and games, the StarCraft community sustains itself through competitive play and a robust and highly social fandom around the game and prominent players. Players orient themselves in the community through structured competition, such as ladders, tournament rankings, clan competitions, and professional leagues. In addition to this formal online ladder and professional tournament circuit, initiatives such as BarCraft provide for more informal and local shared social events, as both younger and older players gather at restaurants to watch live professional StarCraft games. These events are typically organized by fans of the game who volunteer their time to bring the community together. The High School Starleague and Collegiate Starleague organize StarCraft competitions among teams formed at high schools and colleges, while the After Hours Gaming League organizes competition among companies in industry. In addition to the competitive dimensions of StarCraft, players also enjoy socializing through experimenting and shared problem-solving. Day’s “Funday Monday” segment on his show encourages players to experiment and mess around through ridiculous and humorous restrictions that he places on the game. Players submit their replays to be featured on a special show of the Day Daily that moves away from game analysis, and instead focuses on having fun with unconventional play in StarCraft. The focus of the webshow is broadened through the community website which promotes discussion and collaboration among its players and community members. Day also provides insight to aspiring eSports community members and tournament organizers by authoring blog posts about running gaming events through local eSports clubs & communities. Though there is a focus on both competition and unconventional play, the active growth of the StarCraft and eSports community is brought into focus by aligning eSports events & initiatives with the values of play and sportsmanship within the community. The StarCraft community thrives and grows through open infrastructures that include a rich network of online sites and communities, and a range of real life leagues and tournaments. The online world is the lifeblood of the StarCraft community. Anybody is free to jump into the online ladder of StarCraft and seek others with whom to play and discuss the game. Forums such as TeamLiquid.net, Reddit’s r/starcraft, and Day9.tv serve as the primary hubs of community discussion and interaction about all things surrounding the game, mostly focusing on professional and high level competition. StarCraft content is present in all sites catering to user-generated content and diverse interests, such as YouTube, fanfiction.net, Twitch.tv, and wikia. Players help each other and share among immediate peers, as well as drawing from strategies seen in online tournaments, professional games, and web shows. While much of the community interaction is organized online, offline groups and meetups like the Barcraft events and school-based leagues are also an important part of the StarCraft universe, and are visible globally through online networks. DayTV organizes the After Hours Gaming League with volunteers, in which players at companies such as Microsoft and Facebook compete for prize money to be donated to the charity of the winner’s choosing. In turn, the performances in the real life tournaments becomes fodder for online communities and commentary. As with other robust online gaming communities, StarCraft fans and players have produced a wide range of resources, stories, videos, wikis, maps, mods, and other products related to the game. These productions range from parody music videos to original mods of the StarCraft maps and characters that support unique forms of game play. Given that the core of StarCraft revolves around competitive strategy gaming, many of these community-produced products center on how to improve at the game. One popular genre of production, which DayTV builds on, is “live streaming” of gameplay, often with associated commentary. Players broadcast video of their games online, generally through the service Twitch.tv, which specializes in game live streaming. They can also record video for YouTube in order to share their strategies and insights with the community. Other channels are dedicated to broadcasting play and competition from high-level and professional players, whose strategies are then distributed among the community members for analysis and appropriation into their own strategies and gameplay. Day is among a handful of high-profile shoutcasters who have been able to sustain a career based on their involvement with the StarCraft community. While few reach the level of success that Plott enjoys, many fans and players contribute to the DayTV site and to to the StarCraft community as volunteers and enthusiasts. Many shoutcasters comment on StarCraft games in their free time and contribute hundreds of hours of content and reach thousands of people. Robust online discussions, video resources, and tournaments are all made possible by players who share their content and act as volunteer organizers of events and online forums. StarCraft and the surrounding community represents a diverse ecology of resources and practices that center on mastery of a complex and challenging game. The Day Daily assists players in not only understanding the fundamentals and depth of the game, but also how to orient their thinking in approaching an unforgiving and complex game such as StarCraft. In addition to support for players seeking to level up in their competitive play, DayTV seeks to elevate the culture of gaming by focusing on high performance, persistence, intellectual engagement, and community contribution. In this sense, the site builds connections between the interest-driven practices of StarCraft play, the peer engagement of the community, and academic outcomes. Plott himself demonstrates how, at the highest levels, players and community builders can turn their love of StarCraft into civic and career pursuits that go well beyond a casual hobby. As a former pro gamer, a hilarious commentator, and a dedicated community member, Plott embodies gaming culture, while also pushing the community to be “better” and pushing for higher goals and values. As such, he occupies a translator and connector role akin to that Andrew Slack plays in connecting the Harry Potter fandom to civic action through the Harry Potter Alliance. Unlike many educator-led efforts to tie gaming to learning, Plott and DayTV represents an effort that is authentically gamer-driven, and builds on the shared purpose and culture of an existing gamer community. One challenge, however, with the StarCraft community and other high-performance games is that the barrier to entry is high. Not only is the game difficult to master and compete in, eSports culture can feel exclusionary to many. Despite the fact that the Internet is rich with openly networked resources for people to be able to pick up the game and learn, relatively few women and non-Asian minorities achieve high status within the eSports community. Not only is there a challenging learning curve for new players to overcome, but access to high-speed Internet and a capable gaming computer are necessary in order to both play and create content. It is very difficult for people to become proficient at the game without a supportive peer or family context online, as well as in real life, given the physical dexterity and training involved. All of this works to favor those already immersed in technology and geek culture. Although StarCraft advocates like Plott actively work to recruit new players from diverse walks of life, most are daunted by the challenges of the game and the intensely expertise-oriented nature of the community. The promise and challenges of building Connected Learning through gamer culture are exemplified in the case of StarCraft and DayTV. Like other intellectually challenging games, StarCraft represents a prime opportunity space for connecting academic content with peer culture and youth interests. The very focus on “elite” gamer culture also presents an opportunity to broaden the base of participation. As gamer culture becomes more diverse and ubiquitous, we can expect that examples like we have seen with StarCraft and DayTV will become more accessible and and pervasive as spaces for Connected Learning. Image credits: DayTV, adanai.com, Tim Young, blip.tv, Vincent Samaco (Flickr), wlodi (Flickr), “Lone” on TeamLiquid.net forums, Yida Li (Flickr), Christopher Juhlin (Flickr), FilterSC on YouTube, A Klar (Flickr). Originally posted to ConnectedLearning.tv on March 31, 2014.